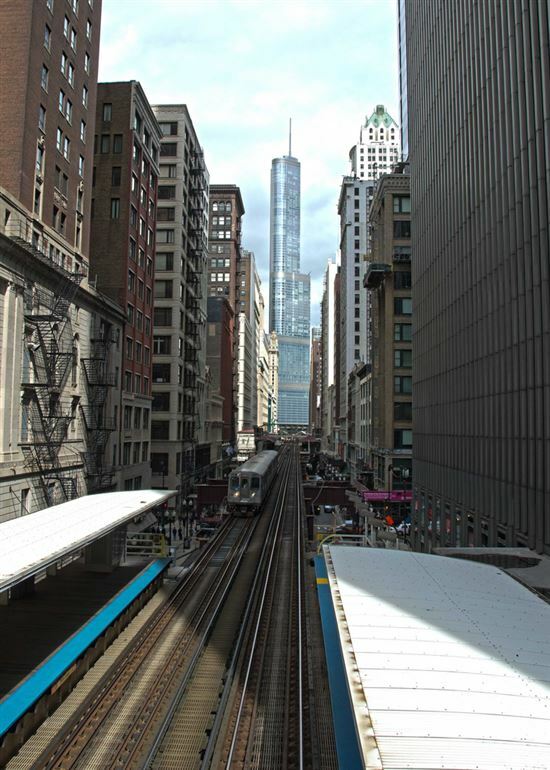 Chicago's diamond district (known as the famed Jewelers Row) is located in the downtown Loop area. This area in the city center is home to beautiful historical buildings, Millennium Park, and world-class shopping and museums. It's easy to have a horrible and frustrating time here if you're not prepared. But you can have a lovely time instead if you do your research and learn about diamond pricing first. We're going to show you how. The glitzy, 2-block jeweler's district is located along Wabash Avenue, in between East Washington Street and East Monroe Street. A major establishment on this street is the large 21-story Jewelers Center (at 5 S Wabash), which has almost 200 jewelers under one roof. Besides the shiny jewels and baubles, the architecture is another major reason to take a stroll through the jeweler's row. The buildings are constructed in an interesting mix of Art Deco, Renaissance, and Romanesque styles. Tip: The Chicago Loop area parking can be hectic, so if you want, you can use an app like BestParking to find and reserve a spot even before you arrive. Now, it's no secret that we're huge advocates of shopping for an engagement ring online. But we understand that you may want to look at some diamonds in person. Plus, it's fun to go around to the different stores and try on different styles (okay, maybe this is just fun for girls). The number 1 rule is to never go unprepared. You don't have to walk into a store an expert, but if you sound like a total newbie, you may as well have a huge red target painted on your forehead. Some stores will be only too happy to take advantage of your cluelessness. Learn about the 4C's. To not get ripped off, it's important you learn a little bit about diamonds and what drives diamond prices. This is a good place to start for beginners. We break down each C (carat, cut, color, and clarity) and explain its level of importance, what you should prioritize, and what you can "sacrifice." 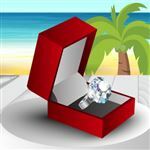 We also show you how going up and down grade levels for each C affects the price of the diamond. Research pricing online first. Even if you want to buy your diamond from a store in person, start your search with online retailers first. Play around with different settings for each of the 4C's to get an idea of how much a diamond costs with certain characteristics. Make a list of what stores to visit: There's an overwhelming number of shops in the jewelry district. Some will be good and some not-so-good. You won't have time to pop into each one or hope that you just randomly stumble into the perfect store. Do some research beforehand and read reviews. We've listed a few stores below, but you probably want to do your own research too in case you're looking for something specific. Chicago's Jewelers Row has around 350 jewelers crammed within the 2 blocks. If you're not sure where to start your search for the perfect engagement ring, we've got a few suggestions. These stores all have developed strong reputations for customer service and trustworthiness. Ethan Lord Jewelers (5 S Wabash): Located on the 2nd floor in the Jewelers Center, Ethan Lord Jewelers offers an intimate space to view and learn about engagement rings. They are known for their exquisite custom designs and attention to detail so that customers get the perfect ring of their dreams. All their diamonds are conflict-free and GIA-certified, with an emphasis on cut. Donna Jewelry (21 N Wabash): Donna and her family have been in business for over 30 years. They treat you with genuine, family-like service. She is there personally every step of the way - from learning about your style to diamond education to the design process, and finally the finished product. Their goal is to work with you to create your perfect design within your budget. 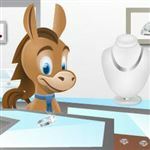 Luo M Jewelers (19 N Wabash): For over 35 years, Luo M Jewelers has been specializing in custom designs. Their commitment is to never sell anything that they wouldn't buy themselves. If something isn't up to their standards, they remake it until they feel happy presenting it to the customers. They are truly passionate jewelers who put customer satisfaction above all. Do not ever feel pressured into making a purchase. And do not ever feel uncertain about a diamond or the price. If you had spent some time learning about the 4C's and diamond prices, then you should have some idea of what to expect. If you're at a store and feel like the salesperson is pushing the hard sell or is using shady tactics (such as "This awesome deal only lasts today. Normally the price is $XXXX, so I'm giving you a good deal! "), then walk out. You should always feel comfortable and happy about the purchase. And deals on diamonds don't exist. Ask to examine the diamond. A good store will let you examine the diamond with a professional jeweler's loupe and even light performance tools. If a store does not let you examine and compare diamonds and claim that their diamond is high-quality without any proof, that doesn't sound very trustworthy. Take your business to another store who does not try to hide information. Understand the store refund policy and warranties. A lot of stores will offer a full refund within 14-30 days. But some stores may only offer store credit (which is useless, because why would you spend your money there again if you didn't like it the first time around?). Be very, very clear about the store's policy before handing over any money. Also ask about their other policies such as warranty and diamond trade-up. Use a credit card for purchase protection. We don't mean that you should charge the ring if you don't have the cash (because ideally, you should only spend what you can afford). But a credit card does give you certain protections, such as if the item you received is not what was promised. We're not going to lie and say that shopping at a diamond district (anywhere) will be completely stress-free. But if you do your homework beforehand, you'll have an easier time. We cannot stress it enough: research, research, and research. Learn about the 4C's and diamond prices, and read reviews of stores you may want to visit. Just remember, you should feel comfortable every step of the way. Don't ever feel like you're being pressured. If a salesperson is making you tense, just walk out. There are hundreds of other stores you can visit instead. We hope we gave you a good starting point in our shortlist. And lastly, are the prices at the Chicago Diamond District really cheaper? In our opinion, not really. Of course they're cheaper than prestigious branded stores, but for the most part, prices are on a par with online stores such as James Allen. So if you like being able to look at diamonds in person, you may find better prices compared to high-end stores, but don't expect outrageous deals either. Leave a comment about Diamond District Chicago: How to Save at Jewelers Row?